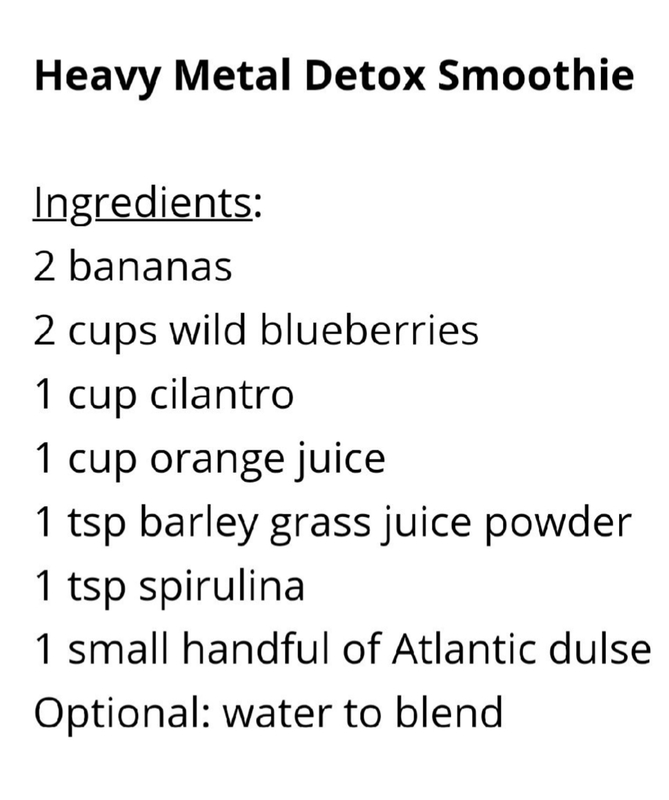 Some time ago I posted here about starting the Heavy Metal Detox Smoothie protocol from the Medical Medium. I have been getting many requests for the recipe so I thought I would update everyone on the results from my hair analysis and share the recipe for the detox smoothie. I sent my hair away to be tested at the lab and when the results came back, I was surprised to find out what I was high in as far as heavy metals go. It shocked me actually. First off Hair Mineral Analysis is screening test to measure the levels of up to 60 essential minerals and toxic metals. With correct testing and interpretation, one can construct a comprehensive metabolic profile of the human body and then take corrective measures to balance nutrients and remove toxins. I ended up being very high in Lead!! This was a surprise as I have had my water pipes tested in my house several times and apparently the levels are safe. It is my understanding that older homes can have a lot of lead paint on the walls, even if they have been painted over, which is probably the case in my house. I can’t wait to get the results for the rest of my family to see if there is a common theme here. 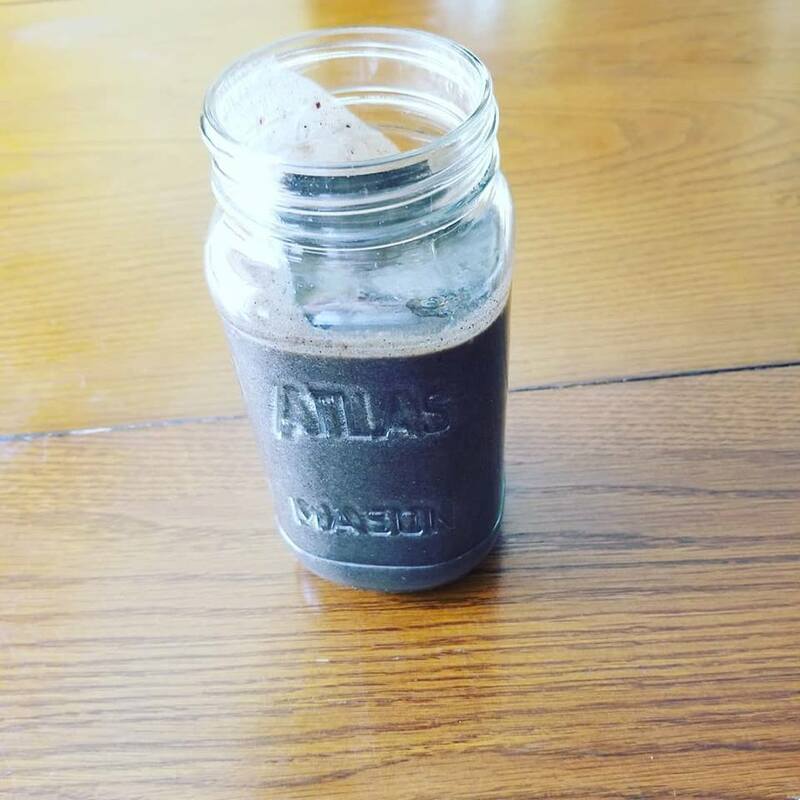 Needless to say, I am getting more focused on doing these heavy metal detox smoothies and supporting my body with the necessary nutrition and supplementation to deal with this nasty heavy metal that is very toxic, as well as the other imbalances that showed up. Heavy metals can wreak havoc on the body and mind. Here are some signs indicating the possibility of heavy metals in the body. Here is an excerpt from the Medical Medium blog about heavy metals along with the link to a full article that is very insightful and educational. If you have any questions about hair analysis, making the smoothie, or anything at all, be sure to shoot me a message or comment below and I’d be happy to help if I can. I will keep everyone updated on my heavy metal detox progress when I retest in the future. Maggie Holbik.com is a Board Certified Natural Nutrition Clinical Practitioner and a Certified Life Coach who helps people with wellness of body, mind and spirit. Maggie is currently heavily focused on helping individuals and families through Hair Mineral Analysis, Nutritional Assessments, and Nutrition Protocols to promote optimal health and wellness.